There is a need to strengthen the capacity of Market Surveillance Authorities (MSAs) to conduct Ecodesign related market surveillance activities with respect to new and pending industrial and tertiary sector products. Especially in the case of customised products which are unsuitable for testing in laboratories. There is a lack of expertise, experience, and resources available across Europe for such kind of testing. An increasing concern is that new regulations addressing these products risk being unenforceable. The aim of the INTAS project is to address these concerns and provide technical and cooperative support, as well as capacity building activities, to MSAs charged with enforcing these regulations. 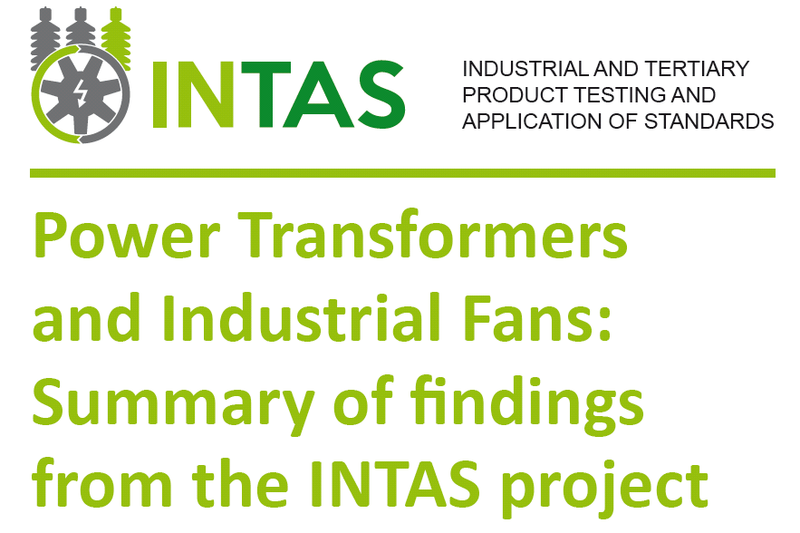 The need for the INTAS project arises from the difficulty that authorities and market actors face in establishing and verifying compliance with energy performance requirements for large industrial products subject to requirements of the Ecodesign Directive. The focus of the project is to support compliance for large industrial products, specifically transformers and industrial fans, with the requirements of the Ecodesign Directive. The energy consumption of transformers and industrial fans is very significant and thus the risk of losses due to poor compliance cannot be ignored. c. Foster a common European approach to the delivery and verification of compliance for these products. The INTAS project involves 16 partners among them there are 11 organisations, which are National MSAs or cooperating closely with the National MSAs, targeting 10 European countries (Austria, Belgium, Czech Republic, Denmark, Finland, Poland, Portugal, Romania, Spain and Italy). INAS project is organising surveys to learn about stakeholder views on individual aspects relevant to the project. Find ​​here our Privacy disclaimer concerning the Laboratory survey.